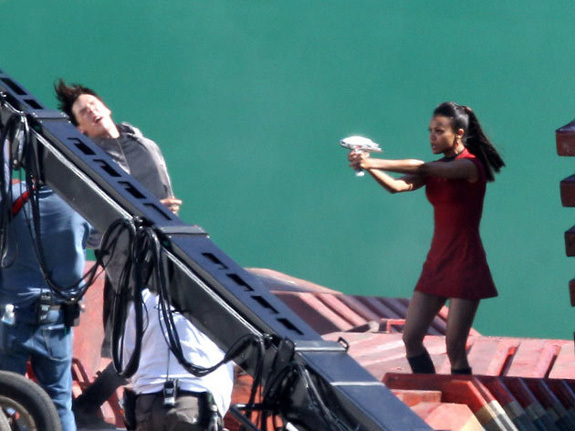 More Revealing Set Images Emerge from J.J. Abrams’ Upcoming 'STAR TREK' Sequel! 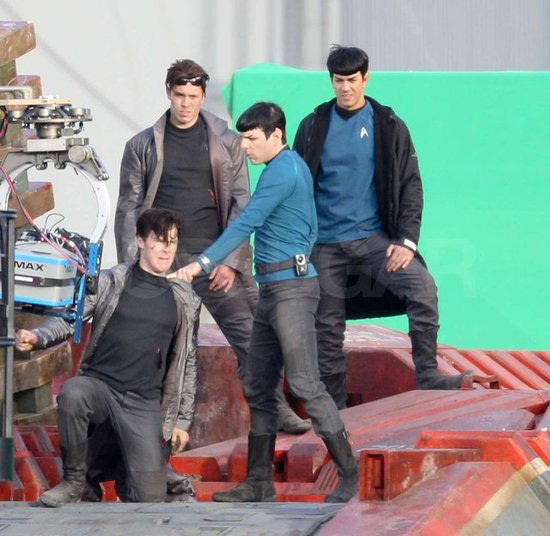 Earlier last week we got the first set images from J.J. Abrams’ upcoming Star Trek sequel. 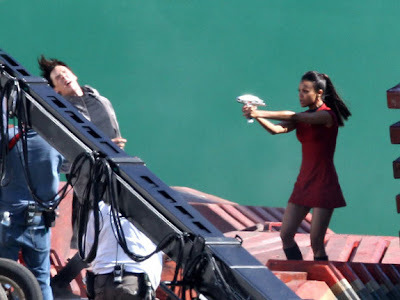 Today some more images from the much anticipated sequel have emerged online & provide us with another look at the films mysterious villain, played by Benedict Cumberbatch who is apparently a human/humanoid & has some sort of tie to Starfleet in combat against Zachary Quinto’s Spock & facing off with Zoe Saldana’s Uhuru. The movie also stars John Cho, Bruce Greenwood, Simon Pegg, Chris Pine, Karl Urban, Anton Yelchin, Alice Eve & Peter Weller. 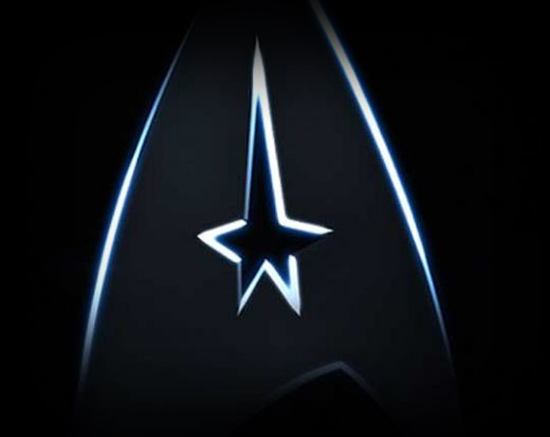 Star Trek 2 will be released May 17th 2013 in 3D. Hit the jump for the details. Images Via Yahoo!Movies, PopSugar & toofab. 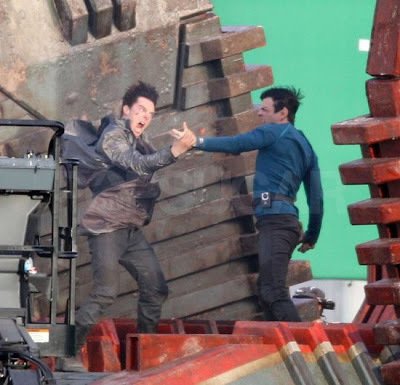 I'm reading: More Revealing Set Images Emerge from J.J. Abrams’ Upcoming 'STAR TREK' Sequel!Tweet this!